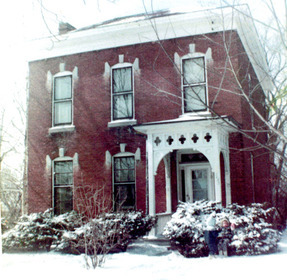 Sean Lynch was born and raised in Iowa, in a Civil War-era brick farmhouse restored by his working-class family. As a kid Sean preferred to be outdoors climbing trees or shooting his BB gun. When the fickle Iowa weather precluded these noble pursuits, young Sean could be found devouring crime and science fiction, paranormal and military non-fiction, and feverishly trying to persuade his parents to let him stay up past bedtime to watch the late-show creature feature. Throughout junior high school, red-haired Sean maintained a paper route, as well as world-class acne. He also began wearing prescription eyeglasses with the obligatory black elastic retaining band behind his head. In high school Sean worked full time at a grocery store, where he was required to wear a short-sleeved polyester shirt and 1970’s wide tie. This ensemble, coupled with the flaming hair, Coke-bottle specs and lunar-surface complexion, spared his parents the need for explaining the mechanics of birth control. Desiring the G.I. 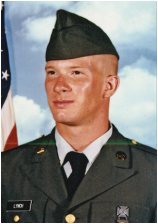 Bill to help pay for tuition, Sean served in the U.S. Army on active and reserve duty as an enlisted infantryman. He selected the infantry because when he applied to the astronaut program he was informed that a chimpanzee had already been sent into space. Sean pursued a Bachelor of Sciences degree in Sociology and Criminology, majors chosen strictly for their limited math requirement. An oafish but enthusiastic student, he graduated in only three years with a grade point average which approximated his typical Saturday night blood alcohol level. During college Sean remained in the Army Reserve, worked nights as a Campus Security Officer, co-managed a gym, and became the first person in his family to obtain a university degree. At the time of Sean’s college graduation the Midwest economy was quite bleak. With few job prospects and no money, he migrated to Northern California’s San Francisco Bay Area to pursue a career in law enforcement. Sean chose law enforcement because it was the only job he could think of where you got paid to drive fast, shoot guns, and get in fights. 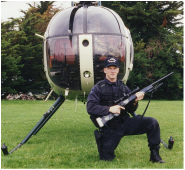 During his law enforcement career Sean served in a number of assignments. He was a Sector Patrol Officer, Foot Patrol Officer, Motorcycle Officer, Field Training Officer, S.W.A.T. 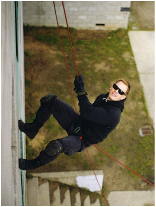 Team Officer, Firearms Instructor, S.W.A.T. Team Sniper, Defensive Tactics Instructor, Juvenile/Sexual Assault Detective, and Homicide Detective. He retired in 2012 at the rank of Lieutenant and as Commander of the Detective Division. Sean began writing as a rookie cop. His bestselling debut, WOUNDED PREY, was followed by THE FOURTH MOTIVE and OFFICER INVOLVED. Sean currently resides in Northern California with his family. A lifelong fitness enthusiast, he exercises daily and holds a 1st Dan in Tae Kwon Do. He still watches late-night creature features.